As I have mentioned before lamb chops are not photogenic. 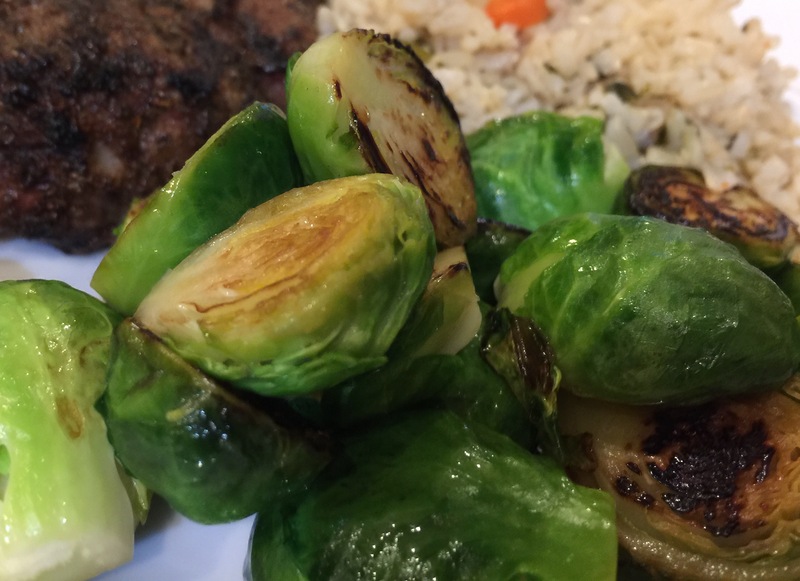 John grilled them and I heated up the brown rice that we had earlier in the week and I also prepared the Brussels sprouts. In our family they are known as Incredibly Yummy Brussels Sprouts. Take about 20 or so Brussels sprouts, trim the root end, and peel off undesirable outer leaves. Cut in half. Wash. Lay the sprouts cut side down in a pan. Add about 1/4 cup of water, 1/2 teaspoon of salt, and a sprinkling of sugar (not even an 1/8 of a teaspoon.) Take one or two teaspoons of cold butter and dot it around the pan. How much you use depends on how low in fat you want this to be. You do need some fat for the browning. Cover. Bring the water to a boil and cook for 4 or 5 minutes. The sprouts should still be a little underdone at this point. Take off the lid. Continue to boil rapidly. When there is just a little water left add a teaspoon or so of dry sherry. Let that boil away. Turn down the heat a little. Let the sprouts remain in the pan until the cut side is nicely brown. They will be sweet and delicious. The sugar aids in the browning and the sherry enhances the nuttiness of the sprouts. 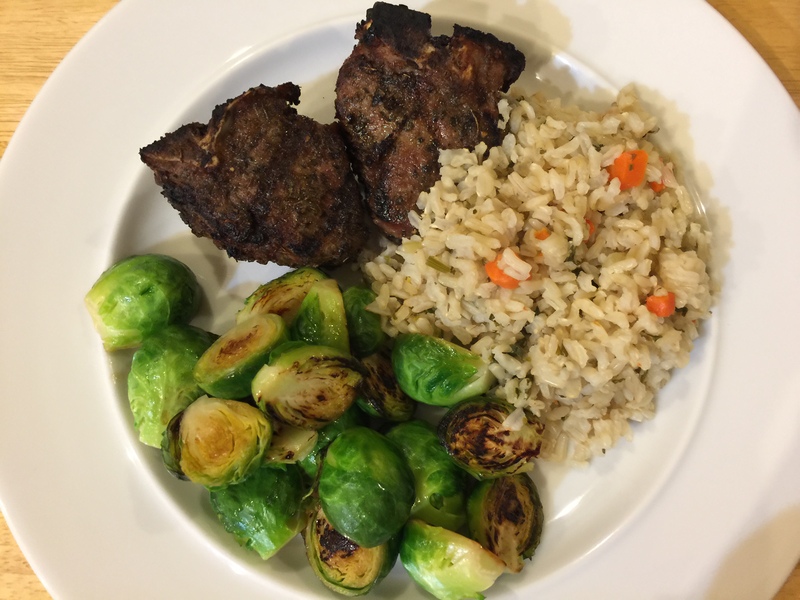 This entry was posted in Lamb, leftovers, rice, Vegetables and tagged brown rice, brussels sprouts, lamb chops. Bookmark the permalink.